A long time ago, I supported my writing career by teaching English and Drama at a boarding school in Colorado. The student body included a number of Native American youth, and one year the school hosted a faculty in-service training that focused on how, as classroom educators, we could better serve this population. By then, I had already been to a lot of in-service trainings, and they were all pretty much the same. They were usually taught by men, featured a Power Point presentation, with appropriate paper handouts, followed by (if we were lucky) some hands-on activities. The workshop on teaching Native American students did not follow this tried-and-true model at all. We sat in a circle. Our female guest speaker laid out a dizzying array of objects, all over the room, in a lovely tableau—pieces of wood, leaves, bowls of blossoms, herbs, statues, fetishes, musical instruments, photographs, even costume pieces. We sat in a circle while she burned sage to clear the air. Then she stood up and started talking. I remember she started by telling us about her family history, her grandparents and parents and her tribal relations. And then she proceeded to continue telling stories for the next eight hours, with one break for lunch. There were no handouts. There were no bullet points. There were no activities, except for a moment of prayer and singing and more sage burning at the end of the presentation. I promise you, I came away from her workshop with a much better understanding of how I might better serve and connect with my Native American students. But the lessons the speaker taught were not transmitted in quantifiable, explicitly pronounced soundbites that I could then regurgitate, say, on a multiple choice quiz, or perhaps codify in an organized essay, with three specific examples and a conclusion. Instead, she communicated with some other, deeper part of my mind, outside my intellect and ego. By the end of the day, I “got” the ideas, the same way I inhaled the sage smoke, picked up her song’s rhythms, saw her stories come alive in my imagination. Because of her, I would better create a space where my Native students and I might converse, where I might more effectively help them navigate the dominant norms. But I don’t know “how” she did it. She just told stories all day; sometimes the same stories, again and again. But the stories magically connected me to her and then to the world she came from and finally to the students in my classes. When mashing up North American mythology in modern stories, such as I did with “The Devil in Midwinter,” I still like to remember this long ago workshop. Modern Western stories conform to certain norms—a beginning, middle and end, for instance, a series of trials with a final crisis and climax, and an easily identifiable hero and villain. But this format does not always integrate well with ancient North American myths. These stories are rarely linear, nor are the heroes always easily identifiable. They are not fashioned to provide “edge-of-your-seat suspense,” but often serve entirely different purposes, many of which cannot be easily explained to a 20th century audience. The stories appear fragmented and circular, in part because they conform to different narrative patterns, but also because the people who fashioned them were systematically slaughtered in vast numbers, and did not always get a chance to record their histories and traditions thoroughly before succumbing to the tidal wave of war and pestilence forced on them by European invaders. So why use American myths in a modern paranormal romance, especially if the forms are incompatible? For “The Devil in Midwinter,” a lot of it has to do with setting. The story takes place in the little town of Mattawa, WA, where a truly multicultural population is employed in the ancient work of growing and harvesting food. Mattawa’s orchard workers are a potent mix of Native American, Mexican American and Caucasian American people, with a dash of cowboy and vintner thrown in to spice up the stew. If one is going to capture that setting, I believe a story set in Mattawa needs to weave traditional Mexican folklore and mythology, with Judeo-Christian traditions and North American Native myths. I didn’t feel right just putting a monster down in an orchard and rolling with it. To facilitate the integration of Native myths, I used non-linear storytelling techniques. Instead of a line, starting at the beginning of the story and travelling through points A to Z, I tried to make this story a net, one that is cast over a whole field of stories. The stories circle back on one another, over and over, in much the same way that long-ago workshop leader circled her stories, in an ever-repeating pattern of birth, growth, loss and birth again. Luckily, I found this circular format worked surprisingly well with the subject of this story, the growth of food and the empowerment of young people, and even the claiming of one’s true love. I believe we like to think of growth as happening in a line. From a distance, this is how it appears, after all. We like to think of learning as happening in a line, too, with bullet points, and quantifiable results, easily regurgitated in multiple choice tests. But growth and learning—and sometimes love, too—do not happen in lines. They just happen—in fits, starts, pushes, and pulls. One day there is a seed, then there is a plant, and how did it happen? It is a mystery. One day there is a child who cannot read, and then the child can, but how did it happen? It is different for every child. One day you are strangers, and then you are friends and then lovers and you would die for one another, and how did it happen? That is simply a miracle. I hope the experience of reading “The Devil in Midwinter” is a little like that long ago day, when I sat in a workshop, surrounded by symbols, and absorbed a way of being by listening to a variety of circular stories. Whatever the messages, whatever the images, whatever the insights you take away from reading it are yours to keep. But I hope they connect yourself to yourself, and yourself to the world, and yourself to the spirit, since that is the place where magic happens. 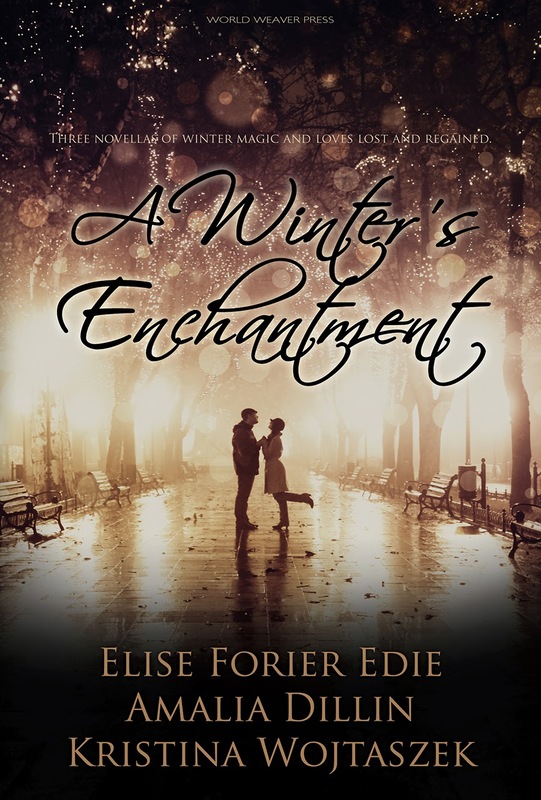 Elise Forier Edie is an author of paranormal romance and YA novels, as well as several stories and popular plays with magical and speculative elements. Her most recent publications include "Leonora," in Penumbra magazine, the fairytale "Black Dog" in The Enchanted Conversation and three short plays for young actors in the anthology "Original Middle School Scenes and Monologues" edited by Kent R. Brown. Her paranormal romance "The Devil in Midwinter" will be released in mid-December, 2013 with World Weaver Press. Elise is a member of the Society of Children's Book Writers and Illustrators (SCBWI), the Romance Writers of America, Los Angeles (RWA) and the Authors Guild. She has taught writing and arts classes at Central Washington University, Northland Pioneer College, Fountain Valley School and the Arizona Commission on the Arts. In addition to working as an author and script writer, Elise is also a professional actress. This year, she launched her first original one-woman show, "The Pink Unicorn," which was selected to be at the United Solo Theatre Festival, and played in New York City, on Theatre Row. Elise is married to actor Keith Edie and lives in southern California with their two dogs, Krypto and Jubilee. When she is not writing, she likes to make quilts and soup, but rarely at the same time. Learn more about Elise at her website, blog, or find her on twitter: @EliseForierEdie. And don't forget to pick up your copy of A Winter's Enchantment, or at the very least, mark it to-read on Goodreads!